It's not that the Oceanarium is in an industrial site. 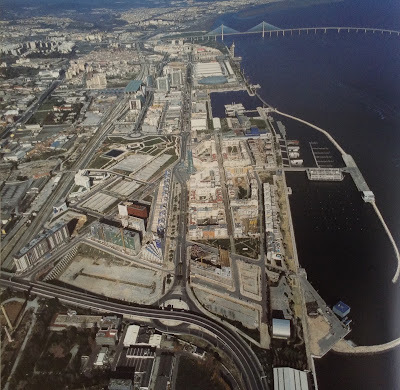 Between central Lisbon and the district called Parque das Nações is an industrial site, or at least a working port area, but Parque das Nações is a residential district that's meant to be nice. It's a planned suburb, on the site of a World Fair and like a lot of such places it risks being a bit antiseptic. The Galp Tower might be one of its best features. It's an oil refinery tower for the fractional distillation of crude oil or something like that, but they cleaned it up and made it into urban sculpture. They've even put a spiral walkway around it so you can climb up and poke around. It's things like this that make me realize that somebody, somewhere, actually understands how things should be. 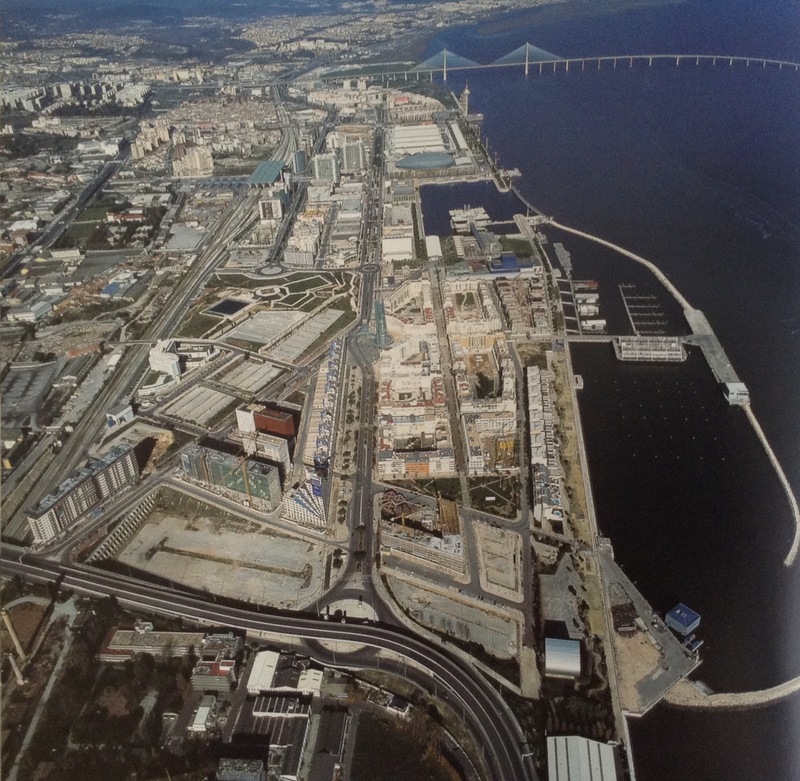 There is a book in the place I'm staying, called Atlas Urbanistico de Lisboa, from which I copied this aerial shot of Parque das Nações. The Galp Tower is just visible in the very center. You can also see the Vasco da Gama bridge, the longest bridge in Europe possibly, and a big marina which currently contains a 4-masted sailing ship people can pay to visit. I didn't go and see the yacht, but here is a bonus feature I culled from the Internet. 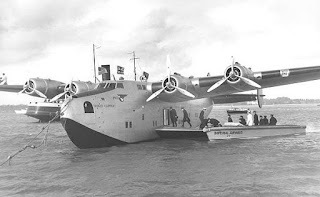 I learned that Parque das Nações is where the transatlantic hydroplanes used to land, back in the days when it took a good 30 hours to fly over the Atlantic and there weren't enough long runways on land. 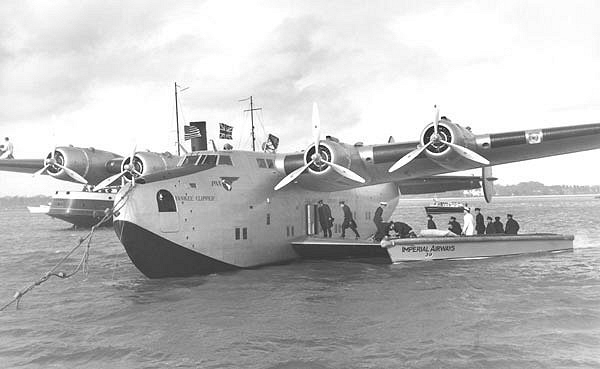 This one is the Yankee Clipper, one of the Boeing 314 Clippers, and I'm afraid she crashed here in Lisbon in 1943. I would love to visit one of these.